Spring is the season of fragrant blooms. As new life erupts all around us, wedding season arrives too. Around the corner are December holidays, festive celebrations, and family visits. It’s that time of the year to enjoy happy days that turn into good memories. It’s the perfect time to learn how to make a bouquet. Doing it with the skill of a florist can take some practice, but there’s never been a better time to learn. We’ve compiled a simple instructional guideline on how to select your flowers to make a bouquet that’s inherently beautiful. We’re happy to give you this tutorial featuring Chrysal, a trailblazer in the cut flower industry. 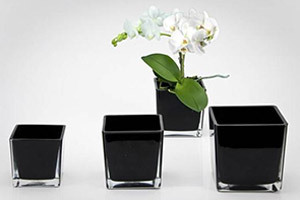 They extend the life of cut flowers, provide arrangement accessories like sponge blocks with their range of research-backed products that deliver outstanding results. Most bouquets feature one large flower, the main focal point. Choose your bouquet’s colour scheme around the hues of the large focal flower. You can either choose to have a bouquet of complementing colours, or you can compile vivid and contrasting colours. In wedding bouquets, it’s typical to use a complimenting colour scheme. In spring, you can throw the rule book out of the window (along with winter) and use the brightest and starkest contrasts if you wish. How to make a bouquet according to your colour taste is completely up to you. If you decide to use a matching colour scheme, examine the focal flower. The subtle colours are the best ones to highlight by choosing smaller flowers or greenery that match. For example, examining an arum lily gives you more than just white. There are delicate hints of lime green ascending up from the stem, then there’s the golden yellow style. White, being versatile, works with any other colour but the spritely greens give you a fantastic starting point. Choose contrasting colours by looking at opposite ends of the spectrum. Dark colours in various shades punctuated with brightness are particularly effective. Picture light and dark purples with bursts of lime green and sprigs of white. It’s refreshing! Spring gives us a wide variety of blooms to choose from, although most spring flowers haven’t quite blossomed yet. There are also great year-round options, like arum lilies, baby’s breath, and gladiolus. 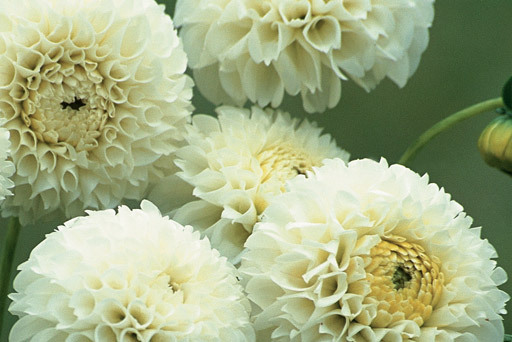 There might even be a few winter blooms like dahlias and daffodils still available. Sunflowers make a beautiful focal piece, their bright yellow hue gives a range of colour scheme opportunities. If you have grown your own flowers, knowing to make a bouquet is extra special if you harvest and arrange it yourself. Select flowers that vary in size and add lots of greenery, especially in light green hues. Selecting quality stems and a balance of open and semi-open flowers is an important part of knowing how to make a bouquet. Part of your greenery should include some tight buds along with the flowers. The tight buds will erupt into joyous blooms as the other flowers begin to wilt away, giving you a lasting and well-balanced bouquet. Select flowers with strong and woody stems. If the flower can not balance upright on your palm, it’s either damaged or weak and it won’t last long in your bouquet. Check that there is no sliminess, this is a sign of rotting. The leaves should be green, healthy, and fresh. Spots or discolouration indicates the stem may not live long enough to be part of your bouquet. All the stems should be an even length. Cut the stems at an angle, this enables them to draw water with greater ease to extend their longevity. Next, if you want a bouquet that’s safe to handle, trim away unwanted leaves and remove thorns by sliding a knife up the stem. 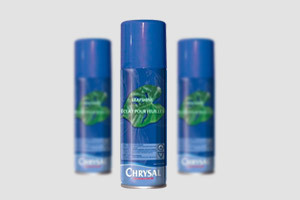 Prepare the vase and water by adding Chrysal Full Bloom as per the instructions on the packet. To build your bouquet, hold your centrepiece flower in your non-dominant hand and start building around it. Using a sponge block may help during this process, especially if you feel like you don’t have enough hands. The flowers should generally be at a similar height, but you can add depth with small sprigs of baby’s breath that stick up. Add your greenery last so that the leaves frame the colourful inner arrangement. Once all your flowers and leafy stems are in, you can bind the stems together with an elastic band or floral wire. And voila! A fantastic spring bouquet! Hadeco’s marvellous selection of bulbs, or purchase some of Chrysal’s magnificent cut flower products.